While NASA has had a long and storied history of building and testing experimental aircraft – called X-planes — it has been almost a decade the space agency has developed any new aircraft. an initiative announced earlier this year as part of the new budget has NASA back designing, building and flying a new series of X-planes, with the goal of creating more “green” aviation technologies that can then be utilized by the aeronautics industry. 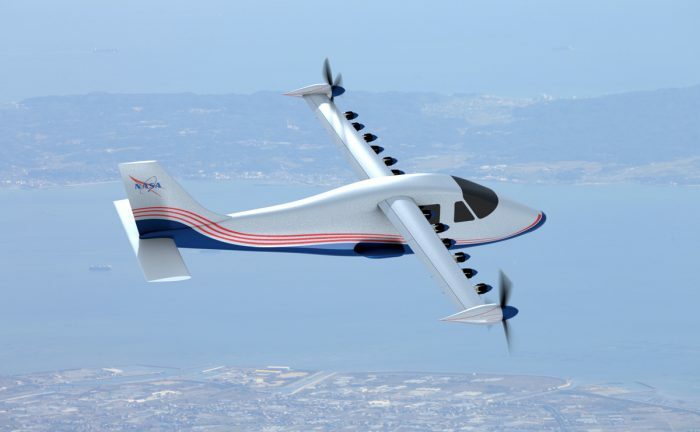 NASA unveiled the first plane in the new X series, an electric aircraft with 14 motors integrated into a new wing design. This experimental airplane has been designated the X-57, with the nickname of “Maxwell,” to honor James Clerk Maxwell, the 19th century Scottish physicist who did groundbreaking work in electromagnetism. “With the return of piloted X-planes to NASA’s research capabilities – which is a key part of our 10-year-long New Aviation Horizons initiative – the general aviation-sized X-57 will take the first step in opening a new era of aviation,” said NASA Administrator Charlie Bolden, speaking at an annual forum of theAmerican Institute of Aeronautics and Astronautics (AIAA). 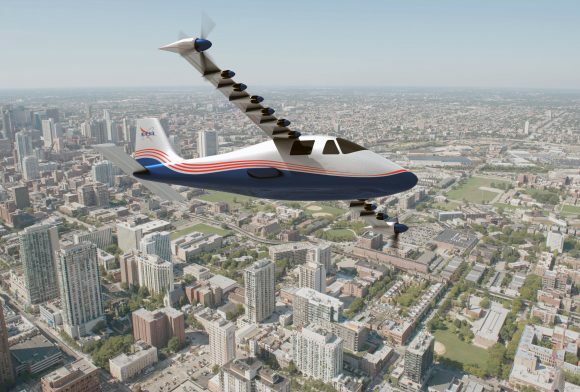 This artist’s concept of NASA’s X-57 Maxwell aircraft shows the plane’s specially designed wing and 14 electric motors. Credits: NASA Langley/Advanced Concepts Lab, AMA, Inc.
Other new X-plane designs include larger transport-scale aircraft that will use less fuel and create less noise, and a business-jet-sized supersonic vehicle that burns low carbon bio-fuels and generates only quiet sonic booms that people on the ground will barely hear. The main goals of the new X-planes will be to demonstrate how airliners can burn half the fuel, saving airline companies money, while generating 75 percent less pollution during each flight as compared to now. They’ll also be much quieter than today’s jets. The X-57 Maxwell has newly designed long, skinny wings embedded with 14 electric motors – 12 on the leading edge for take offs and landings, and one larger motor on each wing tip for use while at cruise altitude. The idea is that distributing electric power across a number of motors integrated with an aircraft will result in a five-time reduction in the energy required for a private plane to cruise at 175 mph. NASA’s first X-plane was the X-1, which in 1947 became the first airplane to fly faster than the speed of sound. It was flown by Chuck Yeager and was featured in the book and movie “The Right Stuff.” While many of the aircraft were well known — like the X-15 that became the fastest piloted aircraft of the X-plane program — other aircraft were developed clandestinely. 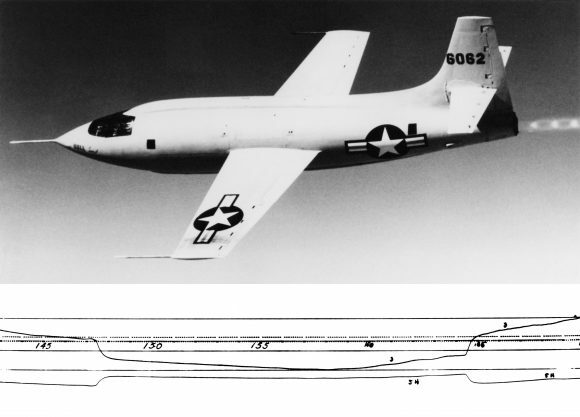 Other experimental aircraft included research on lifting bodies and other wing designs or unique engines like the scramjet. Other experimental aircraft didn’t carry the “X” designation, like the Navy’s D-558-II Skyrocket, but was flown by Scott Crossfield in 1953 to become the first airplane to travel twice the speed of sound, or Mach 2.